In just a shade under two weeks I’ll be heading north to attend the premiere (and to be honest, only) UK Transformers convention, Auto Assembly (over the weekend of August 8th-10th). This event just keeps getting bigger and better, and this year’s Transformers 30th Anniversary bash looks to the biggest and best yet. The Regeneration One panel: on the Saturday, myself and the aforementioned Regen One-ers will be post-morteming the series now it’s all done and dusted, forensically examining every high and low, giving our final coroner’s verdict on the 20+ issues, and of course answering your burning questions. 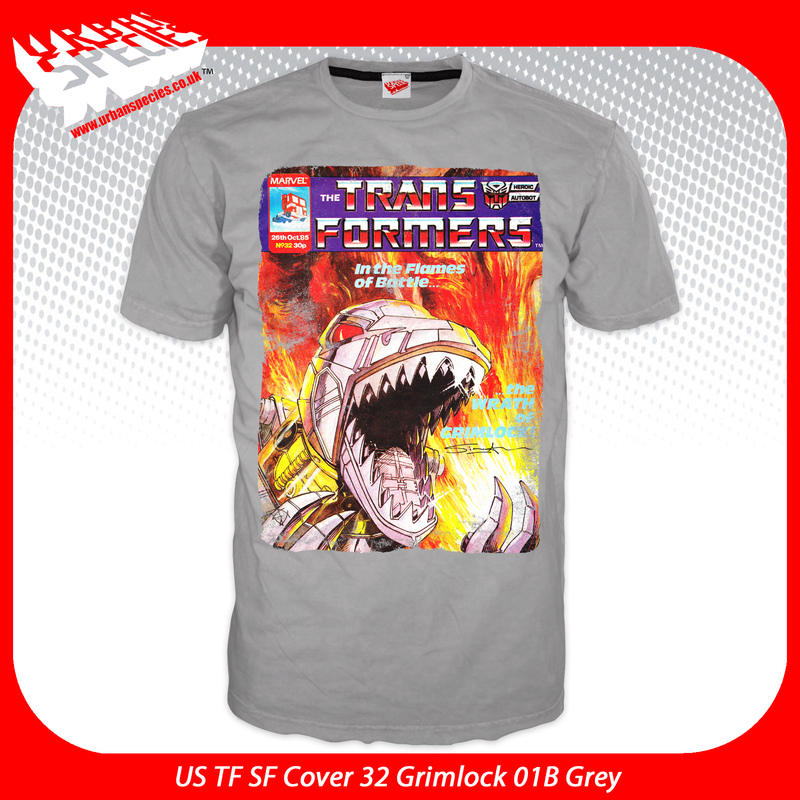 The Urban Species signing: on the Sunday, I’ll be doing a special signing at the Urban Species table, where they’ll be launching their Simon Furman Signature range of Transformers T-shirts. Come by and get your SFS T-shirt (see below), which are being offered for sale re-signed by me, exclusively for AA. TF Regeneration One #100 script & comic packs: on sale at my own table, over the whole weekend, these will be the most covetable script/comic packs of all. Having sold out at London Film and Comicon, I expect these to go quickly. If you want to pre-reserve one or more (at £20 each) before the event, reply to this post and I’ll set one aside. These are only for collection at the event. Sorry. And of course I’ll be bringing a whole of bunch of other comics, TPBs and scripts for sale at my table, where you’ll find me camped out for the majority of the weekend. Look forward to seeing you there! For more details, check out the Auto Assembly website here. This entry was posted on Monday, July 28th, 2014 at 1:21 pm and is filed under Uncategorized. You can follow any responses to this entry through the RSS 2.0 feed. You can leave a response, or trackback from your own site. Hi Simon. Which range of covers for #100 are on offer in the packs? [cover A or convention cover] I’ve got the Geoff Senior & link cover so far. It’ll be A & B, Wildman and Guidi. Can I reserve a cover B issue 100 script and comic pack please? Many thanks and see you next weekend! !